The National Foundation for India is an independent, Indian grant-making and fundraising body, helping people improve their own lives. We make a difference by supporting partners who look for solutions to complex problems in poor, remote and challenging parts of the country. NFI’s distinct nature comes from being completely independent of corporate, religious or governmental control and our focus is nationwide. NFI has partnered with a number of Indian and international donor agencies and is a professionally managed and financially accountable foundation. NFI believes that India can develop meaningfully only when social equity and justice are guaranteed and a sense of respect for our fellow humans is achieved. The Bernard van Leer Foundation funds and shares knowledge about work in early childhood development. The foundation was established over in 1949 and is based in the Netherlands. Our income is derived from the sale or Royal Packaging Industries Van Leer NV, bequeathed to the foundation by Dutch industrialist and philanthropist Bernard van Leer. Our mission is to improve opportunities for children up to age 8 who are growing up in socially and economically difficult Circumstances. We see this both as a valuable end in itself and as a long-term means to promoting more cohesive, considerate and creative societies with equal opportunities and rights for all. The GPSA supports civil society and governments to work together to solve critical governance challenges in developing countries. To achieve this objective, the GPSA provides strategic and sustained support to CSOs’ social accountability initiatives aimed at strengthening transparency and accountability. 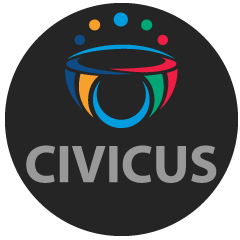 It builds on the World Bank’s direct and ongoing engagement with public sector actors, as well as a network of Global Partner organizations, to create an enabling environment in which citizen feedback is used to solve fundamental problems in service delivery and to strengthen public institutions. This in turn helps the countries to improve development results and to reach the goals of ending extreme poverty and fostering shared prosperity. This fund promotes the poverty reduction aims of Millennium Development Goals and the Habitat Agenda for better, more sustainable and equitable towns and cities throughout the developing world. It provides grants for new ideas and solutions for job creation, good governance, adequate shelter and secure tenure. PTF is an international non-governmental organization dedicated to helping civil society play an effective role in the design, implementation and monitoring of national anti-corruption programs. The World Justice Project® (WJP) is an independent, multidisciplinary organization working to advance the rule of law around the world. Effective rule of law reduces corruption, combats poverty and disease, and protects people from injustices large and small. It is the foundation for communities of peace, opportunity, and equity—underpinning development, accountable government, and respect for fundamental rights. Public Affairs Centre (PAC) is a not for profit organization, with a mandate to improve the quality of governance in India. The creation of PAC was perhaps the first civil society led institutional initiative to mobilize a demand for good governance in India. The focus of PAC is primarily in areas where citizens and civil society organizations can play a proactive role in improving governance. The Affiliated Networks for Social Accountability (ANSA) are an initiative to promote, strengthen and sustain social accountability knowledge and praxis globally. Social Accountability refers to the ways and means in which citizens can hold public institutions accountable in terms of delivering public services, improving people’s welfare and protecting people’s rights and entitlements. Funded by the World Bank Institute, currently there are three regional ANSA hubs – Africa, East Asia Pacific, and South Asia, as well as a Global Seed Fund component to promote ANSA in different regions. The Public Affairs Foundation is a knowledge based service organization committed to improving the quality of governance by providing advisory support and customized knowledge products to a wide range of clients in the public arena. Transparency International India (TII) is the accredited India chapter of Transparency International, an international civil society organization based at Berlin that has turned the fight against corruption into a worldwide movement. TII is part of the Asia Pacific forum comprising 20 nations that include China, Sri Lanka, Bangladesh, Pakistan, Maldives and others. TII is a non-government, non-party and not-for-profit organization of Indian citizens with professional, social, industrial or academic experience seeking to promote transparent and ethical governance and to eradicate corruption. Launched in June 2006, Adobe Youth Voices is Adobe Foundation’s global signature philanthropy program designed to provide youth in underserved communities with the critical skills they need to become active and engaged members of their communities and the world at large. 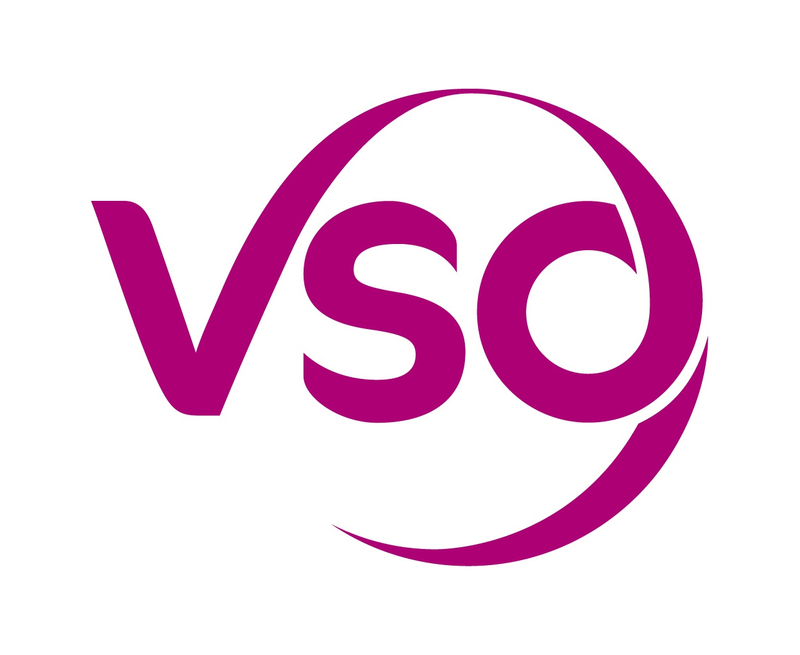 VSO is the world’s leading independent international development organization that works through volunteers to fight poverty in developing countries. VSO’s high-impact approach involves bringing people together to share skills, build capabilities, promote international understanding and action, and change lives to make the world a fairer place for all. Credibility Alliance is a consortium of voluntary organizations committed towards enhancing accountability and transparency in the voluntary sector through good governance. It is an initiative that emerged from within the sector and was registered in May 2004 as an independent, non – for – profit organization after an extensive consultative process over a period of two years involving thousands of voluntary organizations all over India. CUTS Centre for International Trade, Economics & Environment (CUTS CITEE), is a programme centre of CUTS International, a civil society organisation working on issues of trade, regulation and governance, headquartered in Jaipur, India, with presence in Nairobi, Kenya; Lusaka, Zambia; Hanoi, Vietnam; and Geneva, Switzerland. 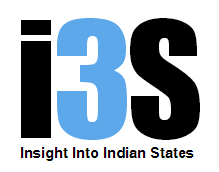 The Insight in to Indian States (I3S) is a new initiative of CUTS International in partnership with the UNDP, New Delhi. The main features of the project are to create an interactive web portal, doing action research, networking and advocacy & dissemination of the documented practices for cross learning. To begin with there are four States Assam, Odisha, Rajasthan and Karnataka started from October 01, 2013. The Global Movement for Budget Transparency, Accountability and Participation (BTAP) is an effort by a broad range of activists and organizations working on public finance and budget accountability issues from around the world to achieve human rights. The organizations that have joined the Global Movement for BTAP have embraced a cause, expressed in the The Dar es Salaam Declaration on Budget Transparency, Accountability, and Participation (November 18, 2011). The Global Movement for BTAP currently has over 130 member organizations. Work is coordinated by a Steering Committee, elected by members at the First Global Assembly (Dar es Salaam, Nov.18-19, 2011). Humara Bachpan is a national campaign on safe and healthy environment for young children living in urban poverty. The campaign focuses on ensuring child friendly components in the urban renewal and related urban programs and policies such as Jawaharlal Nehru National Urban Renewal Mission (JuNURM) and Rajiv Awash Yojana (RAY). These policies and schemes should have a separate chapter on children’s participation and there should be exclusive allocation of resources and process to meet the physical environmental needs of young children. Advocacy through Networking, Media & Communication, Research and Documentation and creating models through Demonstration projects, are the four key strategies of this national campaign. This is the historic promise 189 world leaders made at the United Nations Millennium Summit in 2000 when they signed onto the Millennium Declaration and agreed to meet the “Millennium Development Goals (MDGs).” The MDGs are an eight-point road map with measurable targets and clear deadlines for improving the lives of the world’s poorest people. World leaders have agreed to achieve the MDGs by 2015. It’s up to us to make sure leaders follow through on these commitments. The “United Nations Millennium Campaign”: http://www.endpoverty2015.org supports and inspires people from around the world to take action in support of the Millennium Development Goals. Join the UN Millennium Campaign and be part of the generation that puts an end to poverty. The coalition against corruption is an alliance of civil society organizations a citizen led campaign against corruption in public service delivery in Berhampur city launched in 2009. The main purpose of the initiative is to offer a help to the citizens willing to fight corruption in public agencies in Berahmpur city. The anti-corruption coalition initiated under the aegis of YSD, ARUNA, JEEVANDHARA, GPSS, APEX GUIDELINE and ISARA. The Orissa RTI Coalition – ‘Utha Orissa’ – comprises 15 coalition NGOs and one RTI activist network. We are all actively involved in empowering disadvantaged people to take up their rights and mainstream Right to Information Clinics into their existing activities. Whilst the Coalition has common objectives different approaches are tailored to the needs of our programme area and beneficiaries. I’m a City Changer is a global movement to share and spread individual, corporate and public initiatives that improve our cities. 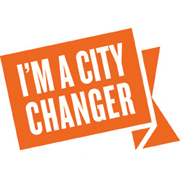 ‘I’m a City Changer’ is the advocacy initiative of the World Urban Campaign. It is meant to raise awareness about positive urban change by engaging citizens in voicing issues and solutions to change their urban communities, and to achieve green, productive, safe, healthy, inclusive, and well-planned cities. The Thomson Reuters Foundation stands for free, independent journalism, human rights, women’s empowerment, and the rule of law. We expose corruption worldwide and play a leading role in the global fight against human trafficking. We use the skills, values, and expertise of Thomson Reuters to run programmes that trigger real change and empower people around the world, including free legal assistance, journalism and media training, coverage of the world’s under-reported stories, and the Trust Women Conference. We tackle global issues and achieve lasting impact. Berhampur is the oldest city of Ganjam District in the State of Orissa. It is mainly a trading centre for Southern Orissa having its influence over eight districts. The city was declared as a Municipality in the year 1867. It is the fourth largest city of Orissa with population of 356598 in 2011.